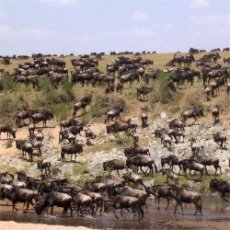 Kenya Travel And Safari Information... From One Traveler To Another. Are you planning a trip to Kenya? Or taking an interest in the country for other reasons? This website offers independent information. You can find my best tips here for a wonderful trip. The country has so much to offer: the best wildlife parks of Africa, amazing wildlife and sceneries, heavenly white sand beaches with palm trees, a friendly and relaxed people with a highly interesting culture. But this site also informs you about the downsides that Kenya like any country has, and how to deal with them. As a professional journalist, I'm telling it like I found it. Read what experienced travelers and Kenyans say about this site. SAFARIS: Things to know before you organize your Kenyan safari, how to pick the right safari tour operator and things to bring on your safari. GAME PARKS: Why Kenyan national parks are among Africa’s best, in which wildlife resorts your favorite animals can be found, and why Masai Mara National Reserve is the country’s most popular wildlife park. 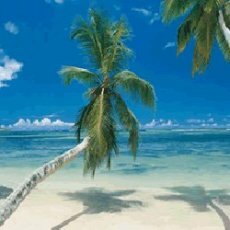 BEACHES: Why the beaches draw hundreds of thousands of visitors each year, which beach you want to choose, why the coast area has more to offer than just sun and sand, and which beach resorts stand out above all others. GETTING THERE: How to find the cheapest flights to the country, which airlines fly here and how air connections to Nairobi from many parts of the globe work. GALLERIES: Several movie and picture pages, since an image says more than a thousand words, and a movie more than a thousand pictures. CITY GUIDES: How to get the most out of your stay in Nairobi or Mombasa. PRACTICAL STUFF: Travel information about visa, money, transport, health, climate, and more. PEOPLE: The inside story of the Kenyan people, including tribes like the famous Masai. BACKGROUNDS: Essays about culture, history, food and country facts. But Make Sure You're Prepared For Africa! If you’re like most people, you might be a little intimidated at the idea of traveling to Africa. And know I was before my first trip. 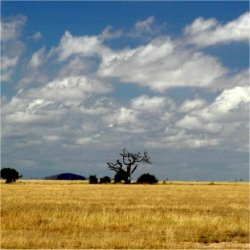 It’s true – if you’re from North America or Europe, then Africa is just another planet, and it isn’t all sunshine. Not all websites are eager to point this out to you. But don’t worry – you basically need the right information and some common sense. This website provides you with both, so use the free information and you’ll have the trip of a lifetime. You won’t be the first to return with the famous “Africa fever” – meaning you’ve lost your heart to this wild and magical continent just like I did. Africa never leaves anyone cold! not two uncreated but one uncreated..."
- Karen Blixen, author of "Out of Africa"
This site has a simple, logical navigation structure. Just use the main site menu to your left. All the information about safaris is organized under the the button “Safari Guide”, all the pages about Nairobi are under the “Nairobi Guide” button, etc. You will also find links to relevant pages within articles, and at the bottom of each page. If you ever get lost, just click on "Home" in the site menu and you'll return right here. If you’ve been to Kenya already, I would love to hear about it, and so will the visitors of this site. Here, you can give your best tips and show us a picture that brings up your own best memories. If you like this site, then please help other people to find it as well. If you have a bookmarking or social networking space (Google, Facebook, MySpace etc. ), a blog or a website, please consider linking to this site. Every link helps! Sign Up And Get Access To Free Gifts! If you sign up here, you’ll receive a password which gives you access to the Subscribers Area as often as you want. This rea is updated and expanded regularly. You'll also receive my e-zine "Letters From Nairobi" with the best travel stories sent in by visitors, photo galleries to dream away, the latest information on which hotels and travel are good or bad, travel book and movie reviews, special offers, and much more. You can also can the latest from this site through my RSS feed - click on the RSS/XML button below the site menu. RSS sounds techie but it actually is a very simple way to get automatic notifications of news from this website, in a way you control.What's RSS? Yes, Send Me My Free Password! You can use the bookmarks at the bottom of this page to add this site to your page on Facebook, Myspace, your personalized Google page, and so on. I hope you enjoy my website... and keep on exploring the world!